Health Minister Yakov Litzman (UTJ) on Thursday responded to the Supreme Court's decision to allow Tel Aviv businesses to remain open on Shabbat (the Sabbath). According to Litzman, the decision to open businesses on Shababt ignores the beliefs of Israel's majority, which for generations has seen Shabbat and a national day of rest as of utmost importance. 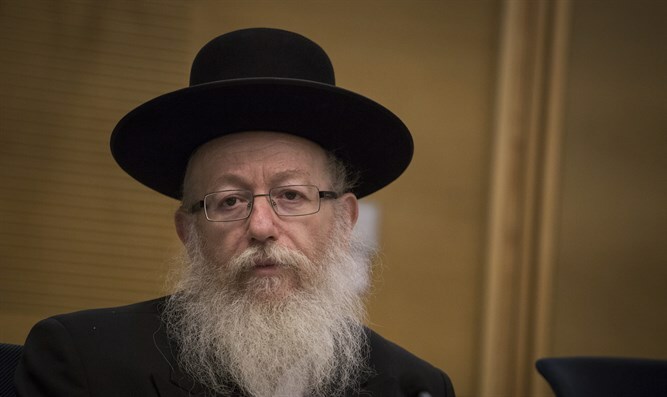 "The decision of outgoing Supreme Court Chief Justice Miriam Naor is in line with her traditional of anti-religious rulings," Litzman said. "This is her 'parting gift' and a callous attempt on the part of the Supreme Court judges to harm Israel's Jewish character, while causing moral injustice." "This ruling tramples on the rights of thousands of workers, harms their livelihoods, and prevents them from enjoying their basic right to a day of rest with their families." "All of the religious and haredi representatives agree that we must stop the anti-religious floodgates which the Supreme Court opened with this ruling. We will fight to fix the injustice in this ruling." Meanwhile, Defense Minster Avigdor Liberman (Yisrael Beytenu) said he sees no reason for the State to harm Tel Aviv's character. "This was a worthy decision," Liberman said. "There is no reason the State of Israel should harm the character of Tel Aviv and force all its residents - and most of Israel's citizens - to live a lifestyle which is not theirs and which they do not want." He did not address the effect of the decision on workers who will now be forced to work on Shabbat, the day their children are at home, in order to keep their jobs.